Happy New Year, the first day of 2018, a year ahead with financial success, where your vision for your business will be achieved if you give yourself permission to achieve it. 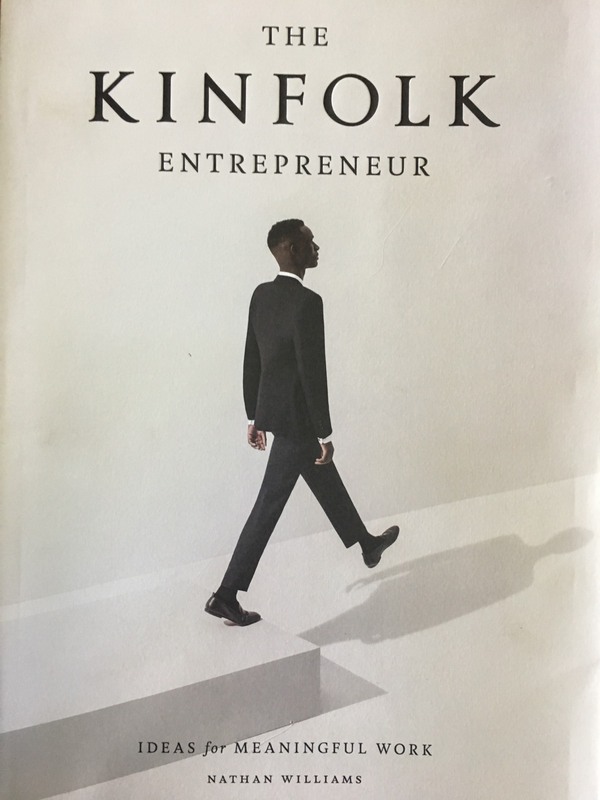 I have just finished reading the Kinfolk Entrepreneur, Ideas for Meaningful Work, by Nathan Williams. It features over 40 entrepreneurs, many from the creative industries, and it explores their own versions of vision through their pursuit of excellence. It’s a refreshing look into to the local businesses, some of which are global, and how their passion towards a concept (their vision) has created unique brands. And because the owners were passionate, hard work was never an issue. Some struggled with work life balance, but bundling their creative talents (their skill) towards a common purpose (their vision) seemed to be an acceptable outcome, although you could tell that they all knew it was not forever. As an owner (entrepreneur), the book shows us most of us will experience disappointment and setbacks, and how their belief in what they are doing overcomes these obstacles, and using failure to motivate their businesses to the next stage of the journey. Making mistakes is part of every business journey, but it is how you use the mistakes, and reflect on what didn’t work in 2017, so that you fail forward. The common theme in the book was each business owner (entrepreneur) gave themselves permission to chase their dream, their vision, and what was interesting, was none of this had a number against it. None of it was to increase sales by 7% or grow net profit by 12%, it was about the secret ingredient that was their passion, the point of difference, the values of characteristics of the business that the owner wanted to impact to every customer, to every supplier relationship that delivered the product/service along the pipeline, and the environment for the staff that worked with them. Having a numbers mindset is important and necessary, but it is analytical and looking backwards. Having a mindset that looks at everything through your customers lens, causes you to always consider who your customer is and what is the problem you are solving for them. It’s constant and consistent across every business and the successful ones are very clear about the size and importance of the problem they are solving for their customers. So, welcome to 2018, a year of financial success. Please give yourself permission to you have clarity on your vision, and give yourself permission to share that vision throughout every part of your business. Your customers will thank you (better sales at better margin), your employees and suppliers will thank you (they will stay with you to share the journey), and you will enjoy coming to work (grow profits quicker and with less stress). If you need some help in exploring how your passion and your vision can connect you with better sales and growing profits quicker, then hit reply below. May your passion and vision drive your financial success in 2018 to the next level.